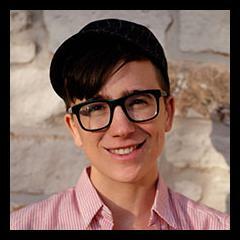 Roan Boucher is an organizer, facilitator, writer, and artist currently based in Austin, Texas. He is passionate about grassroots healing and cultural work, transformative justice, and anticapitalist, community-rooted models of resource sharing. He first become politicized through queer, trans, and feminist organizing, and now finds his political home in broad-based movements for liberation; he believes that all of our liberation is bound up together, and that true social change is a collective process. He works closely with the Bay Area based POOR Magazine, a poor and indigenous people-led grassroots organization, doing economic justice work through art, organizing, grassroots media, education, and multigenerational community building. In 2008, Roan co-founded the website Enough: The Personal Politics of Resisting Capitalism, a space to share strategies for creating more just and economically sustainable movements, with Dean Spade. Building off the critical conversations Enough inspired, Roan and Dean are now co-editing a new anthology of the same title. Roan has facilitated workshops and consulted for a wide range of organizations and conferences including Resource Generation, Catalyst Project, the 2010 Making Money for Our Movements Conference, Close to Home, ICC Austin, the Beehive Design Collective, United World College, Quilted Co-op, Madison Community Co-operative, AVODAH, NASCO Institute, and Lucy Stone Cooperative. He worked in food co-ops for five years, most recently at the Mariposa Food Coop in Philadelphia where he co-founded the Food Justice and Anti-Racism working group. Roan was named one of UTNE Reader's 50 Visionaries Who Are Changing Your World in 2009 and is featured in the book Do It Anyway: Portraits of the Next Generation of Activists, from Beacon Press. His writing appears regularly in Make/shift Magazine. Thursday May 1, 2014 marked the InternationalWorker's Day. Many grassroots organizations and activists gathered at Resistencia Bookstore to celebrate and to recognize the official web launch for Austin Beloved Community. Austin has a rich history of social justice organizations, artists and activists who have worked hard to fix longstanding problems in neighborhoods and communities. Organizations participating included: ACC/AFT Local 6249, ADAPT, ALLGO, Austin Tan Cerca de la Frontera, Campaign to End the Death Penalty, Challenger Newspaper, Creative Action, Code Pink, Democratic Socialists of America, Education Austin, Freedom Road Socialist Organization (/OSCL), Grassroots Leadership, Austin Immigrant Rights Coalition, International Socialist Organization, MonkeyWrench Books, People's History in Texas, PODER, Proyecto Defensa Laboral (Workers Defense Project), Resistencia Bookstore, Rise Up Texas, Texans United for Families (TUFF), The Sierra Club, The Rag Blog, Texas Jail Project, Third Coast Activist, Treasure City Thrift, TSEU/CWA Local 6186, Women's Community Center. Event organizers were Anne Lewis and Jacob Branson. Attendees included Jacob Branson (MC), Sarah Rafael Garcia, Ang Garcia. Those indicating attendance on Wherevent included Elizabeth Kay Walker, Bella Novella, Magda Lena, Diana Claitor, Ana Sofia Perez, Sarah Cheatham Somera, Jennifer May, Andrea Black, Jen Rogue, Leslie Cunningham, Andrea Zarate, Maribel Falcon, Jamie Love, Unkle Frank, Alma Buena, Shelby Alexander, Ci Rocha, Mariann Garner-Wizard, Carrie Morales, Ginger Miles, Katherine Pace, Beverly Baker Moore, Kiya Heartwood, Lilia Rosas, Cassandra Johnson, Olimpia Nuth, Devon Malick, Claudia Zapata, Monica A. Guzman, Bernice Hecker, Raven Pena, Anne Lewis, Michelle Mejia, Emma Mutrux, Joanna Saucedo, Nicole Licea, Marielle Septien, Alice Embree, Diana Gomez, Juanita Spears, Sophia Nachalo, Rocío Villalobos, Joanna Rabiger, Stacy Guidry, Fotografia Caldosa, Kate Layton, Hallie Boas, Danielle King, Vanessa Ramos, Pamela Larson, Monica Teresa Ortiz, Michelle Ramirez, Annaliese Krumnow, Marisa Perales, Robin Lane, Dawnielle Castledine, Cristina Parker, Kathryn Baker, Lisa Hernandez, Margaret Peace, Paige Managiere, Daisy Fran Clark, Seth Hutchinson, Adrian Orozco, Michael King, Ricky Martinez, Peter Sea, Marshall Bennett, Matthew Wackerle, Gilbert Cortez Rivera, Jacob Branson, Mukund Rathi, Gregorio Casar, Carl Webb, Librado Almanza, Kam Ran, Roan Boucher, Juan Belman, Mark McKim, Crayvon Corpening, Dave Cortez, Lindsay J. Porter, Ray Reece, Alex Befort, Antonio Cadarço Marques, Joe Cooper, Richard Swafford, Mike Corwin, Zach Guerinot, Joe Rocha, Tracey Schulz, Thorne Dreyer, Braden Latham-Jones, Juan A. Izaguirre. Roan Boucher is close to Austin, Texas activist Jen Rogue. This page was last modified on 10 December 2016, at 14:39.